When I started sewing, and refashioning existing garments into new, I hadn't realised how many clothes I'd actually start to accumulate in my wardrobe. 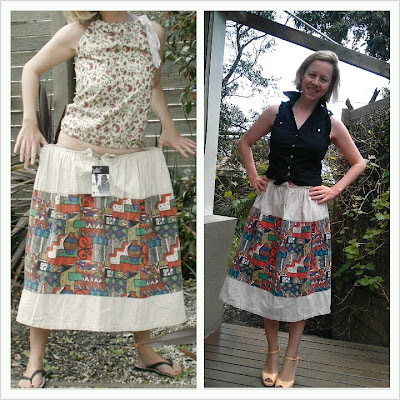 It is easy to restyle a new piece of clothing, when given the opportunity to work with second hand garments. 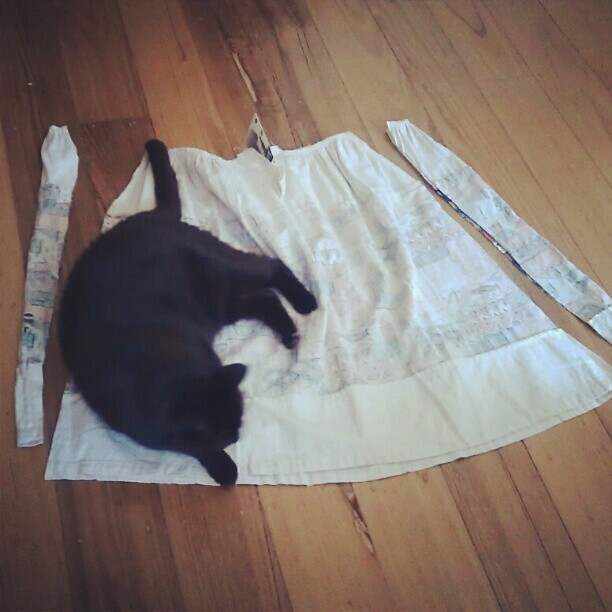 The cost is minimal, and relatively guilt free when working with unwanted fabric, particularly damaged textiles. I've reached a point recently, where I've admitted that I own too many clothes, yet I'd still like to be creative, and continue to refashion old garments into funky new stuff. I saw an advertisement shared on I Love To Op Shop's facebook page, Brotherhood of St Laurence, seeking a volunteer Creative Garment Refashioning Seamstress for their Hunter Gatherer stores. 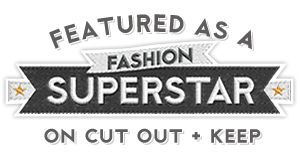 "We are currently looking to build a creative team of dedicated male and female volunteers with an interest in fashion. Experience is essential in clothing alterations, hand sewing, machine sewing and fabric or design skills. These skills are needed to perform repairs, make clothing alterations and adjustments, as well as creating new items from existing garments." I arranged to meet with the Manager of the Hunter Gatherer store in St Kilda, we had a little chat, and came to an agreement. 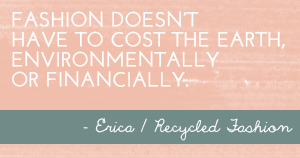 I'd take a bag of un-stylish second-hand clothes every few weeks, and work on refashioning them to make more sell-able, after which they are returned to the store, ready to put up for sale. And there we have it, an answer to my dilemma. Of course Her Royal Catness likes to get involved, but fear not if you are allergic to cats, I do rid refashions of cat hair prior to return! There are many more refashions to do, mainly including dresses, and shirts. I'll be documenting all of them in the coming weeks. 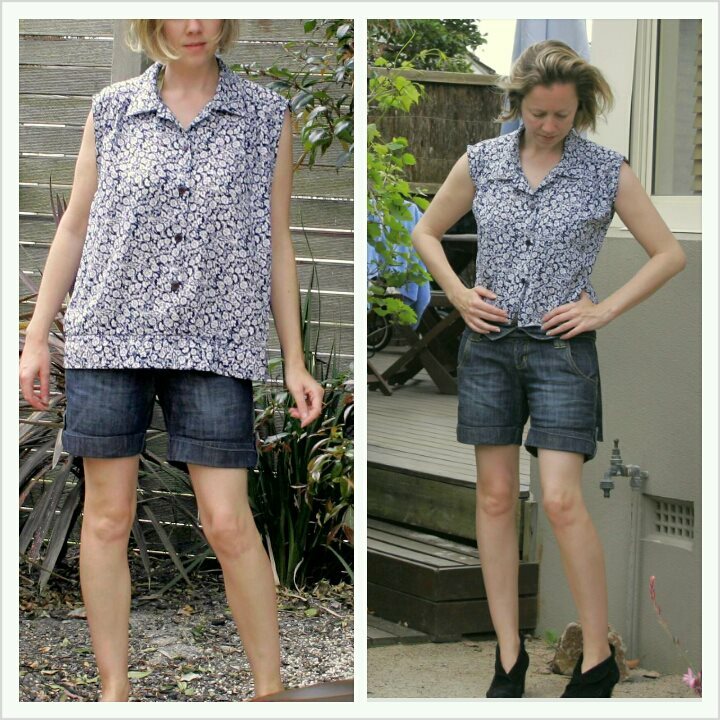 Stay tuned for Recycled Fashion Finds Link Up late tomorrow, and don't forget to enter our Marzipants giveaway! This is fabulous. I don't know where there are places like that but it's still a great idea. 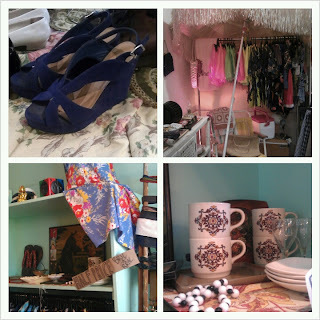 I'm hoping to get into the redoing too. 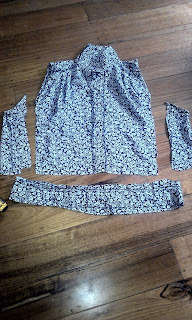 I am a large size and I think my refashioning will be more combining two garments to make a nice larger one. Should be fun. Oh man! What fun...what a great opportunity. I constantly want to fiddle with stuff (Little Miss O permitting!) but yeah - there's a limit to the amount of clothes you need and the amount of space for my own wardrobe...Love it. Great idea - I love the refashioned top! Brilliant. Love the concept and the garments that you have refashioned look great. Love the whole ethos behind this. We have recently moved from Europe to Canada and I had so many clothes, it was amazing. 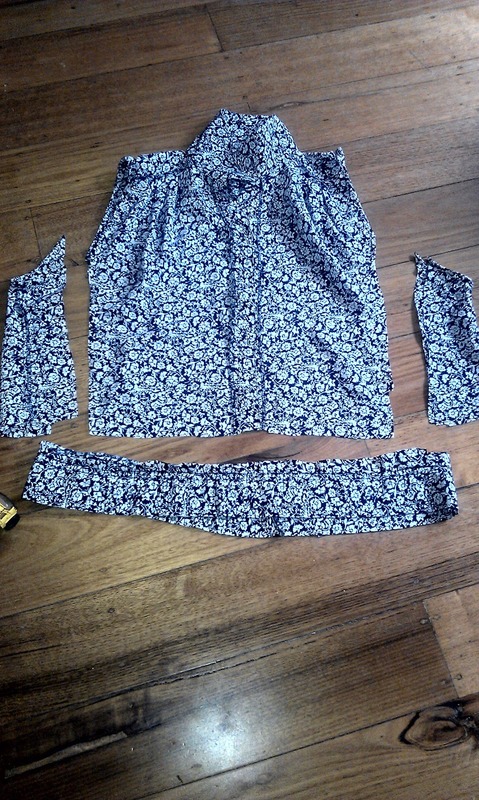 So I kept it to minimum and now I promised my self for every new refashioned items, one old one goes out.